I'm located in Sydney, Australia and on my first hit to any Stack Exchange site after I haven't been active for a period of time (say, an hour or so), I can see FireFox waiting on cdn.sstatic.net for a period between 3 and 5 seconds, but as high as 12 seconds. 4   200 ms   200 ms   200 ms  gi6-0-0-112.bdr1.syd7.internode.on.net [150.101. 9 hops - that's gotta be one of the shortest trips to the US I've ever seen. Sorry guys, I don't wanna be rude, just wondering if there's been any updates on this issue? Is anyone else seeing the same behaviour? It's starting to get quite irritating, but of course if I'm the only one it's affecting then I'll start digging into our own network here. This issue seems to be gone this week. I'll update this if it comes back. I spoke too soon. The issue isn't gone, but it's now a lot less frequent and doesn't last quite as long. It now happens once or twice a day, and holds up for about 5 seconds. Did you change something today (2011-07-13)? All of a sudden the site is back to its pre-CDN speed! Nope, spoke to soon. Back to crappy waiting again. that was after waiting almost 30 seconds. Those requests that are still in progress never actually finish. I suspect maybe Firebug is not showing them correctly, because the site functions fine if you sit through the 16 second load time. Does it indicate any problems with the CDN network at this time? So please include as much information as possible when reporting CDN problems. If you're uncomfortable with posting some of this publicly here on meta, you can also email it to team@stackoverflow.com. Our CDN provider has changed these settings, so would be interested to hear if anyone still has this issue. to test with some confidence whether a site has the same problem (on linux caused by enabling the tcp_tw_recycle flag). It only tests first-level effects (does not parse the site and recursively test dependent connections). Running it over the top 1000 web sites (wget http://www.google.com/adplanner/static/top1000/, and grep out host addresses) shows that > 3% of the web sites have the same problem. I'd expect second-level effects to be higher. Sounds like timestamp rewriting in NATs would be a great idea. I've got the same problem; disturbingly enough, also located in Sydney, Australia. Not using Internode, though, I'm using Optus 3G. 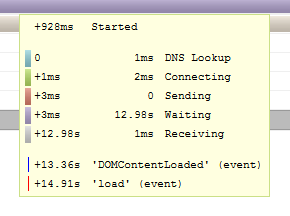 Traceroute appears to be unhappy on this connection (ICMP blocking, as far as I can tell), so nothing useful there, but I regularly get "hung pages", and cdn.sstatic.net is always the culprit in my status bar. If I wait long enough, I get a page that's lacking in CSS and images, but otherwise appears to have all the content (indicating that the attempted load timed out). Hitting the IP for cdn.sstatic.net indicates I'm getting to the Los Angeles DC. FYI, this is still a major issue; from my workplace (major cabinet-level federal agency), the static CDN is still pretty much inaccessible 90+% of the time. if you are using chrome, then you can check this repo: StackoverflowCDN, it is a chrome extension to abort long time downloading the css/js files of sstatic cdn, instead load local one. After digging into my firewall, I discovered that the IPv4 addresses for cdn.sstatic.net were on my bogons list. My firewall's bogon-blocking list had become out-of-date. So, update your blocked-bogons list, or turn off bogon filtering in your firewall, and cdn.sstatic.net becomes reachable. Not the answer you're looking for? Browse other questions tagged support cdn speed . Is it just me or are the sites having connection problems?